My morning routine is really quite predictable. When I first wake up, I immediately look at the clock to check the time. Then, half awake, I drag myself into the kitchen to make breakfast, pack lunches and answer a gazillion very important questions, such as, “Mommy, what is 451 minus 387?” I then make myself a double espresso and check email as I watch my husband walk the kids to school. Yesterday, I opened my eyes and, as usual, leaned towards the clock. Suddenly, my nose hit something very soft. I pulled back, squinted and noticed a white rose, gracefully laying on a night stand. 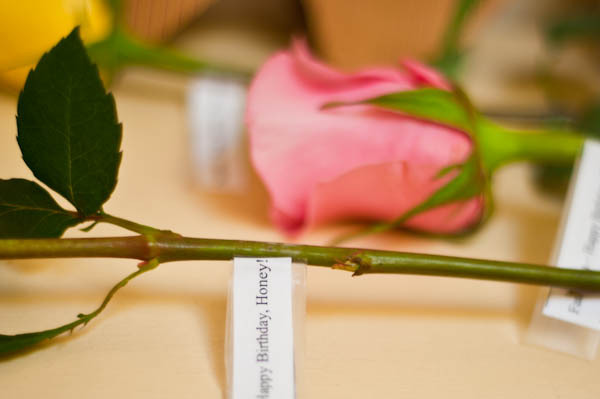 “Happy Birthday, honey” – a note was attached to the stem. The rest of my morning routine yielded more roses, all tagged with special notes. 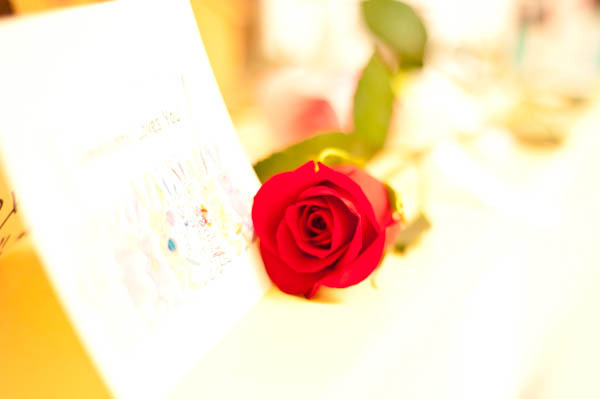 One was resting in the refrigerator on top of a carton of Organic Fat Free milk, another one stretched over my laptop, and a third one kept itself warm on a cold leather seat of my car… The last rose took me completely by surprise – it was patiently waiting for me in my office at work. As I embraced the rest of the special surprises that my husband planned for me, I realized again how lucky I was to have him in my life. Thank you, honey, for transforming an uneventful January Wednesday into a very special day.